The option to get the interfaces without changing the current topology is missing in Security Gateway / Cluster object in SmartConsole R80 and above. Open a Security Gateway / Cluster object properties. Click on the "Network Management" pane. The only available option is "Get Interfaces", which if accepted, will automatically updated the topology configuration (according to static routes). 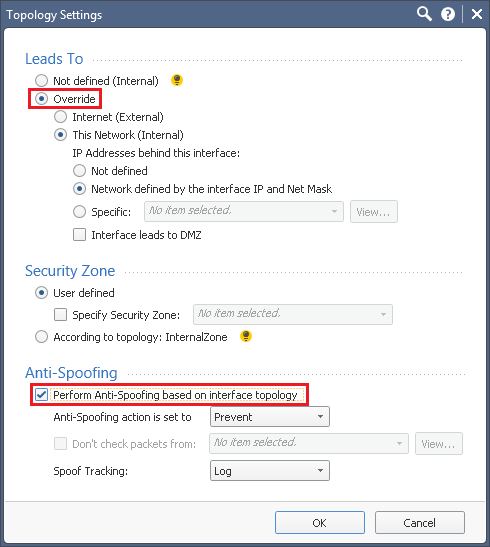 This is the default behavior in SmartConsole R80 and above. Open the Security Gateway / Cluster object. 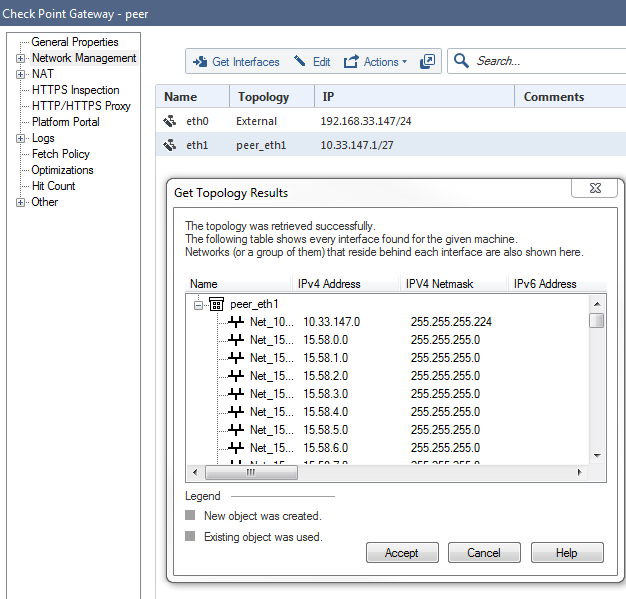 In the left tree, click on the Network Management pane. 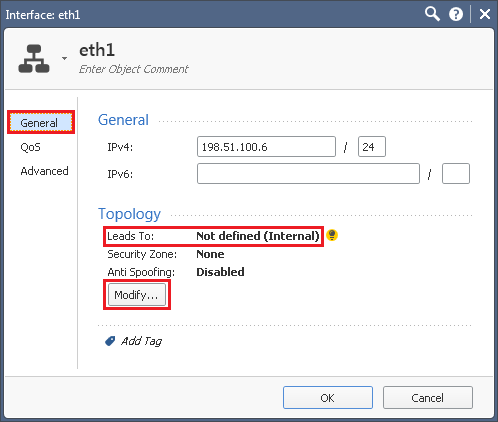 Select the interface, whose topology settings should not be updated automatically and click on the Edit button. In the Topology section, click on the Modify... button. In the Leads To section, select the Override option. 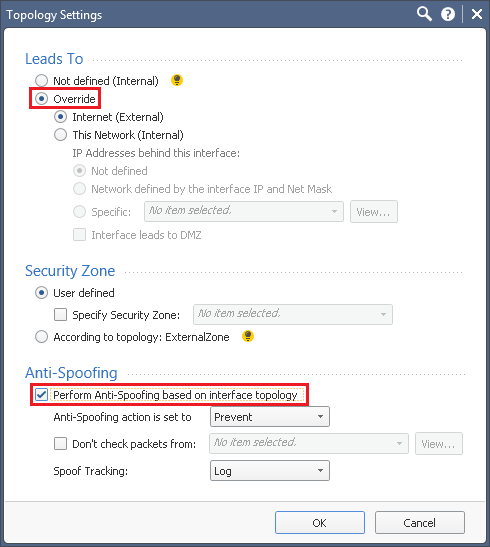 Configure the desired topology, and enable the Anti-Spoofing. You will see that the Topology of this interface has changed. You will see that the Topology of this object has changed. 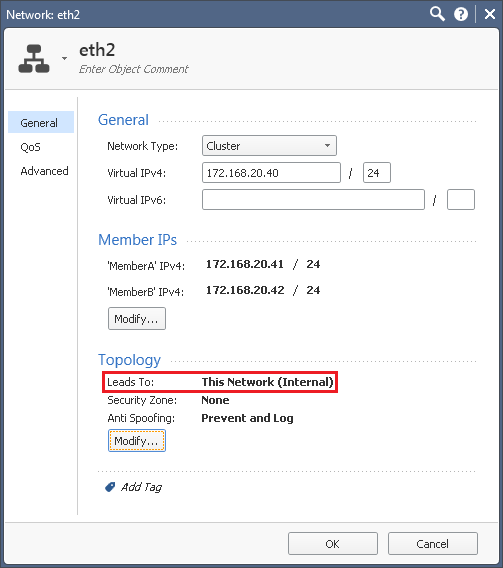 Install the Access Policy on the Security Gateway / Cluster object. When following the procedure above, Static Routes will still be fetched, and corresponding Network objects will still be created.